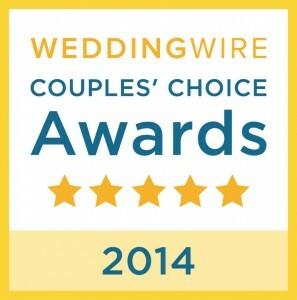 CHEVY CHASE, MD – January 13, 2014 – WeddingWire, the nation’s leading online wedding marketplace, is thrilled to announce that Seattle Wedding Officiants has been selected as a winner of the prestigious WeddingWire Couples’ Choice Awards 2014 for Officiant in Seattle, WA. The esteemed annual awards program, formerly known as the Bride’s Choice Awards, recognizes the top five percent of wedding professionals in the Wedding Wire Network who demonstrate excellence in quality, service, responsiveness and professionalism. The WeddingWire Couples’ Choice Awards 2014 distinguish the top local wedding vendors in more than 20 service categories, from wedding venues to wedding officiants, based on their professional achievements from the previous year. 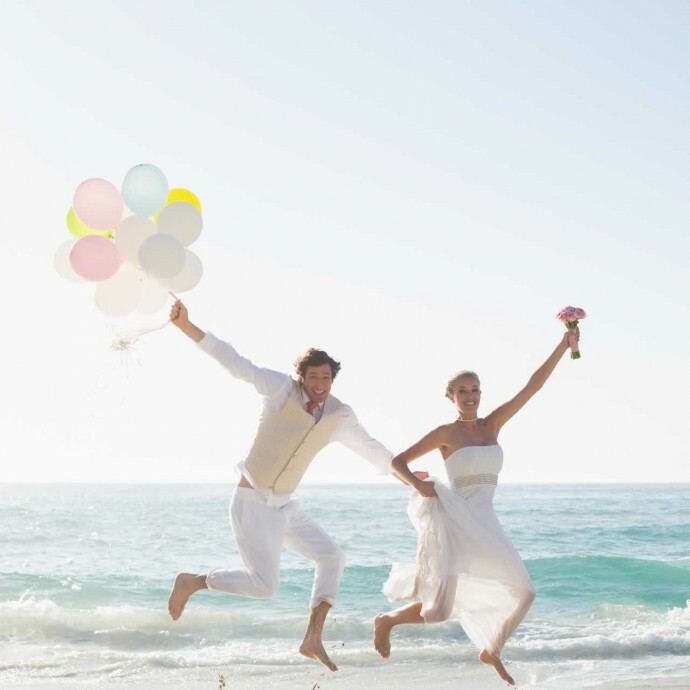 Unlike other awards in the wedding industry, the Couples’ Choice Awards are solely based on reviews from real newlyweds and their experiences working with their wedding professionals. Wedding Wire has quickly become the world’s largest wedding review site, with more than one million consumer reviews of wedding professionals. Approximately 72 percent of consumers trust online reviews as much as a recommendation from a family member or friend, therefore such reviews on WeddingWire help give consumers valuable historical information about wedding businesses and their experience. Among the more than 200,000 wedding professionals in the WeddingWire Network, the award-winning professionals are determined based on their quality, quantity, consistency and timeliness of the reviews they received from their past clients. For thousands of engaged couples, the award symbolizes legitimacy, reliability, and a proven track record of success. WeddingWire, the nation’s leading marketplace serving the $70 billion wedding industry, is the only online wedding planning resource designed to empower both engaged couples and wedding professionals. For engaged couples, WeddingWire offers the ability to search, compare and book over 200,000 reviewed wedding vendors, from wedding venues to wedding photographers. WeddingWire also offers a comprehensive suite of online planning tools for weddings, including wedding websites and wedding checklists, all at no charge. For wedding professionals WeddingWire is the only all-in-one marketing platform for businesses online and on-the-go. WeddingWire offers one simple solution to build a professional network, improve search visibility, manage social media and reach mobile consumers. Businesses that advertise with WeddingWire appear on WeddingWire.com, ProjectWedding.com and other leading sites, including Brides.com, MarthaStewartWeddings.com (NYSE:MSO), Weddingbee.com and Celebrations.com (part of the 1-800-Flowers family of brands, NASDAQ:FLWS). 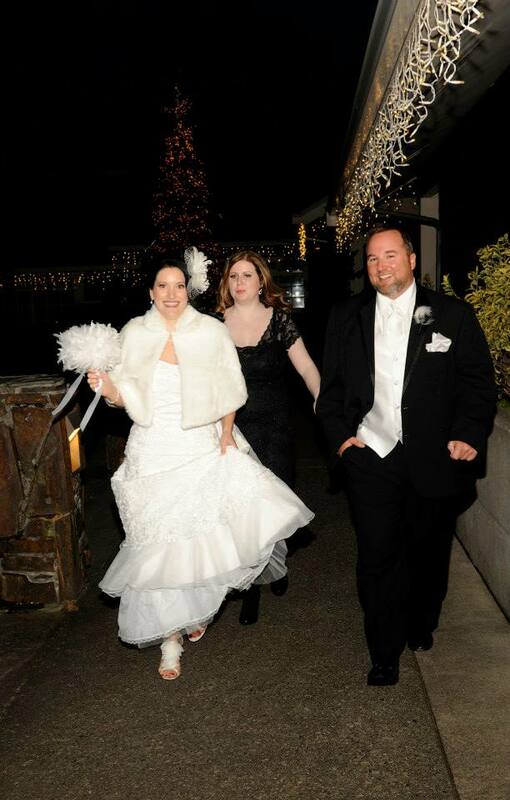 Last night wrapped up my 2012 wedding season, and the wedding was nothing short of remarkable. 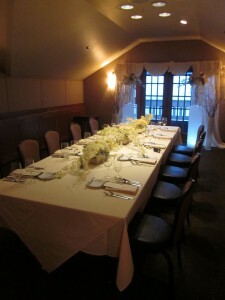 I love small, intimate weddings that feel cozy and warm. 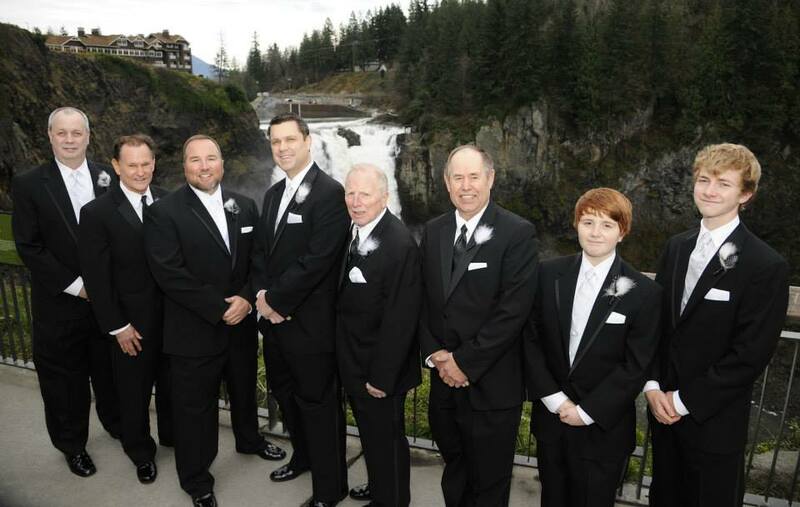 Michael and Dana’s winter wedding included only immediate family and was held in the Cliffside Room overlooking the falls at the Salish Lodge and Spa. This room is perfect for small gatherings and has tons of potential for decorating. Elizabeth Hikida of Elizabeth Designs provided the flowers, which were lovely. My favorite detail? The cake! 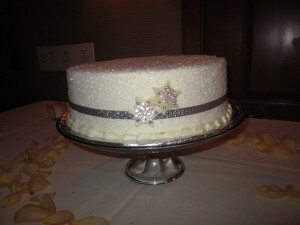 It was lovely with it’s bling and finishing touch of sprinkles that resembled fresh snow. Michael and Dana are on their way to Marrakesh, Morocco for their honeymoon. 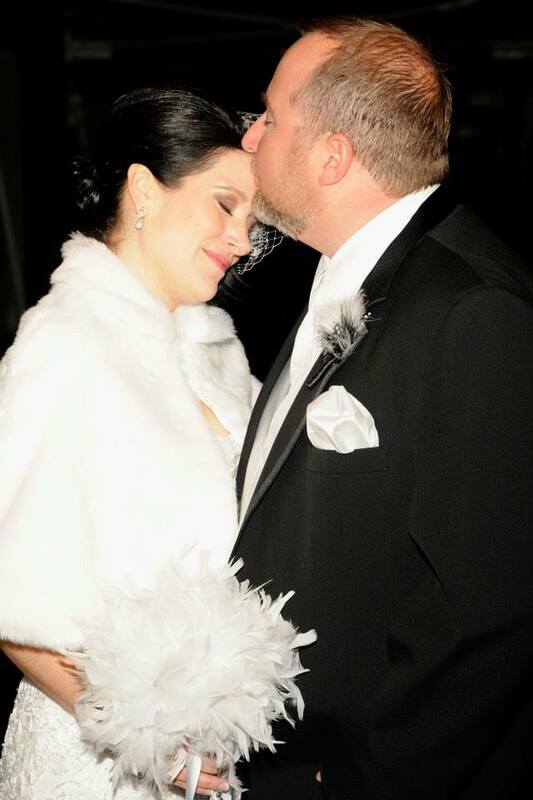 Congratulations Michael and Dana….your journey has just begun! Now that you know how to get your marriage license application completed and get your marriage license at the courthouse (Getting Your Marriage License Made Easy), it’s time to talk about getting your name changed. To get your name changed with the DMV, passport office, work insurance, etc. 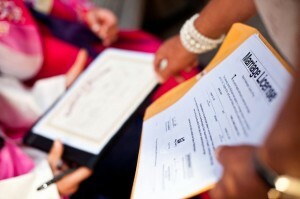 you must present a certified copy of your marriage license. This process is even easier than getting your license. I explain the steps in my consultations, but I also go over it again the day of your wedding. 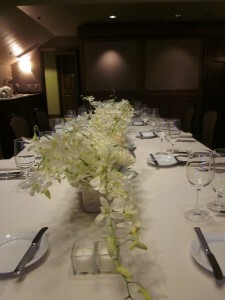 A lot can happen between our consultation and your wedding day; months go by, paperwork gets misplaced, etc. This is why I revisit this topic as we are signing your marriage license after the ceremony. The first thing you need to know is that not all brides decide to change their last name. I would estimate that approximately 90% of my brides change their names to their husband’s last name. The choice to change your last name or keep it is entirely up to you and there is no law that says you have to change it. 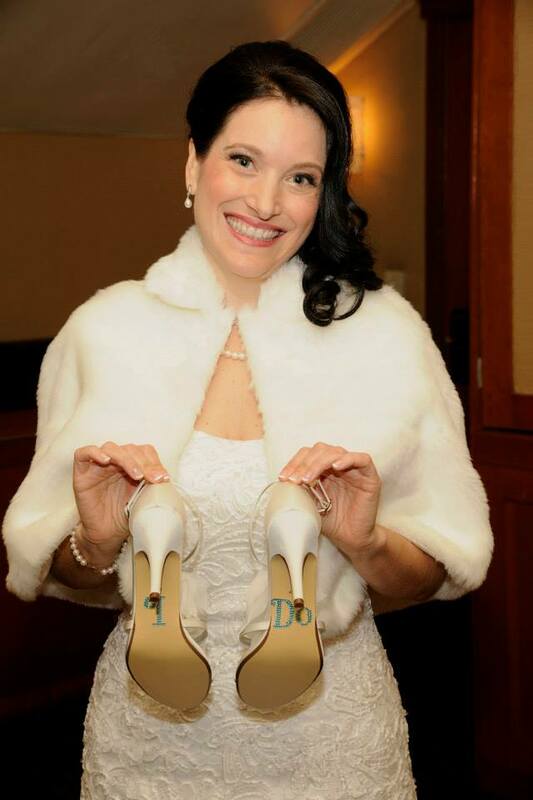 I had one bride tell me that she was the last one in her family with her father’s name and wanted to continue his legacy, and therefore decided to keep her maiden name. You also have the option of hyphenating your last name with your husbands. But again, you can keep your last name if you wish. 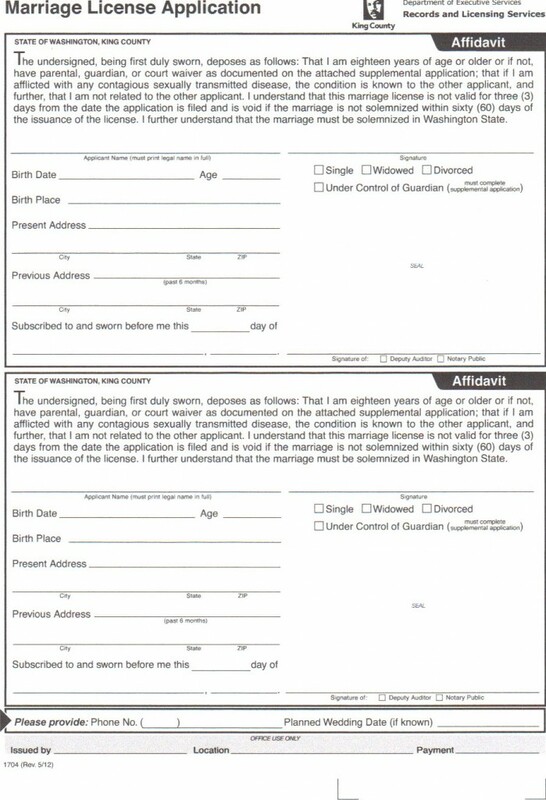 The form below is included in the marriage packet you will pick up at the courthouse. It is very straightforward with the exception of a few things. First take a look at the form and then read on below. You will fill this form out and send it in 10 days after your wedding day. By the way, you have up to a year to send this form in, so there is no rush. For example, you can take care of this after you return from your honeymoon. It’s important to know that the courthouse gets especially busy in the summer months and they need to receive your marriage license before they can process your certified copy request. It’s up to your officiant to forward the marriage license to the courthouse after the wedding. I take care of this either the same day or the very next business day after the wedding. If you are in a hurry to get your certified copy you can go to the courthouse with your completed marriage license and pick up your certified copy in person. Only one of you has to go. Address: Enter the address where you want your certified copies mailed. It is acceptable to use your parent’s address if you are in the military and move around a lot or are in some other kind of transition. E-mail: Either of your e-mails is acceptable. License Application Number: This number is found on the back of your “pretty” copy called “Certificate of Marriage”. As a courtesy, I usually write this information down for my couples because there is too much going on at the moment of signing the documents to try to remember where that little number is. Groom’s Name: Groom, write your full legal name. Bride’s Name: THIS IS IMPORTANT-BRIDES, WRITE DOWN YOUR MAIDEN NAME OR THE NAME YOU USED WHEN YOU APPLIED FOR YOUR LICENSE. In other words, don’t write down your new married name. Date of Marriage: I usually fill this in for the couple as well. Number of Certified copies: I recommend 3-5 copies. They are only $3.00 per copy so you may as well stock up. Finally, you will send a check that equals the number of copies you are ordering (5 copies = $15.00) to the address at the bottom of the form. You will receive your certified copies in approximately two weeks; longer if it’s the middle of summer as the marriage licensing office gets swamped with paperwork this time of year. 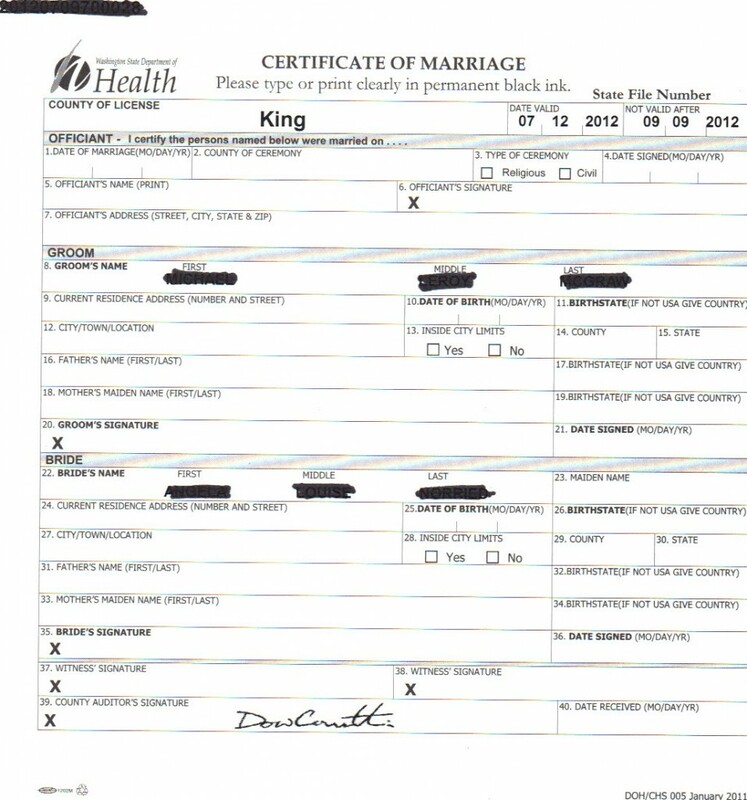 Once you receive your certified copies of your marriage license, it’s time get started changing your name! I hope this information was helpful. I welcome your questions or comments! 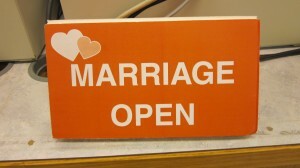 One of the very first things that I discuss with couples in my consultations is the marriage license. You can’t get married without one unless you are having a commitment ceremony or a vow renewal. Signing a marriage license on your wedding day with your officiant and two witnesses is what makes your marriage legal. I spend a lot of time on this subject because it can seem complicated, but it is one of the most important components of getting married — besides hiring a licensed officiant — and needs to be addressed. I am going to share with you just how easy the paperwork can be in two easy steps. Let’s begin with the marriage license application. 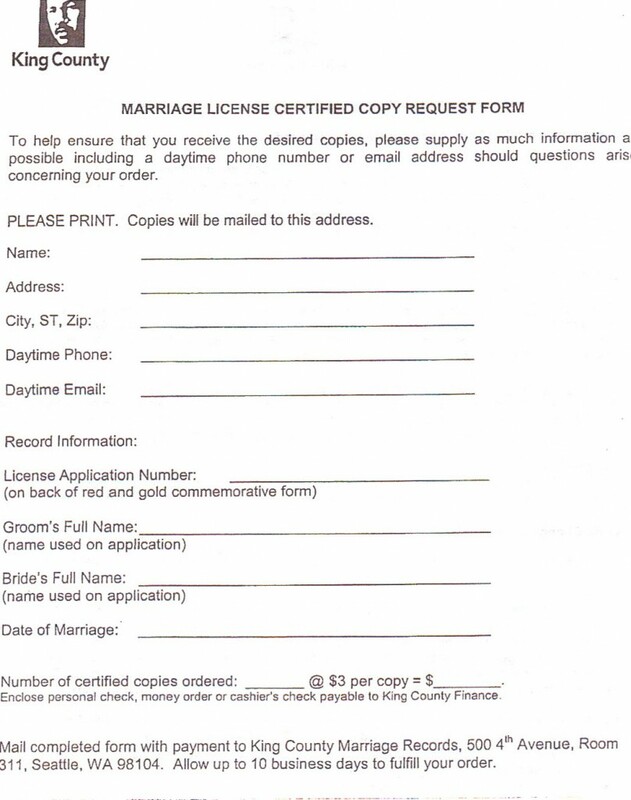 Depending on which county you live in, both the bride and groom will need to go to the county courthouse in your area (Snohomish, King, Pierce) to fill out your marriage license application. The reason both of you have to be there is because your signatures need to be notarized by the county clerk. This will require providing proper identification (driver’s license, passport) to the clerk and then he/she will stamp the application notarized. You can do this Monday through Friday 8:30 a.m. to 4:30 p.m. Note: The application fee is $67.00 cash/money order/cashier’s check/personal checks/credit cards are accepted. If for some reason both of you cannot get the time off from work to go to the courthouse, you can go to your local bank and get your application notarized. The benefit of having your signatures notarized by your bank is that only one of you will have to go to the courthouse to pick up your marriage license packet. (Note: Your bank may charge a small fee for notarizing your document.) This method will require downloading the form shown below from one of the county courthouse websites and bringing it with you to the bank. The example below is from the King County Courthouse and can be downloaded at this link: King County Courthouse. Now you are ready to get married! On the day of your wedding the marriage license will be signed and then forwarded back to the county auditor that it came from and will be recorded. My last bit of important advice: DON’T FORGET TO BRING YOUR LICENSE TO YOUR WEDDING! I was strolling through the grocery store the other day when a magazine cover of Seattle Met (May issue) caught my eye. The cover’s title said in big blocky letters: FOOD TRUCKS. Being the foodie that I am (I know we are all sick of that term but I don’t know what else to call myself), I immediately purchased the magazine. I was intrigued with what seems to be a new trend in Seattle — moving wheels of goodness. I went home and read the article with fascination….and here’s what I learned. So what about a food truck for your wedding reception? I would like to suggest to my audience (engaged couples and couples hoping to be engaged) that we take a moment to think outside of the box. Picture an outdoor summer wedding at a beautiful Seattle Park, i.e. Coleman Park on the shores of Lake Washington. It’s post-ceremony and your guests are ready to eat, drink and be “marry.” In rolls Skillet Street Food to serve up a delicious meal of kale ceasar salad, grilled asparagus and braised Draper Valley chicken. Really – you ask? A food truck can prepare a scrumptious meal on the road? Yes! Yes! Yes! If you are as intrigued as I was about this new trend of rolling nirvana, please check out Christopher Werner’s entire article in the current issue of Seattle Met: Food Truck City. This article completely turned my head around about this style of catering that is perfect for an outdoor, indoor or anywhere Seattle wedding! http://seattleweddingofficiants.com/wp-content/uploads/2016/04/logo2.png 0 0 MissElaine http://seattleweddingofficiants.com/wp-content/uploads/2016/04/logo2.png MissElaine2012-05-03 15:26:332012-05-03 15:26:33Food Truck For Your Wedding Caterer? You Bet! One of the things that baffles me when talking to brides this time of year is how many of them wait to hire their officiant. The venue, DJ, caterer and even the menu has been chosen, but the last person on the list to get hired is often the officiant. I don’t understand why this is. You can’t get married without an officiant, right? So why wouldn’t you seek out the person who is going to make your marriage legal early on? 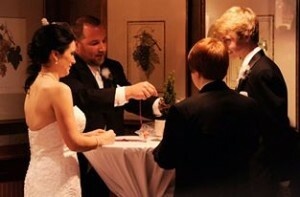 Your officiant is the person who will welcome your guests to your celebration. 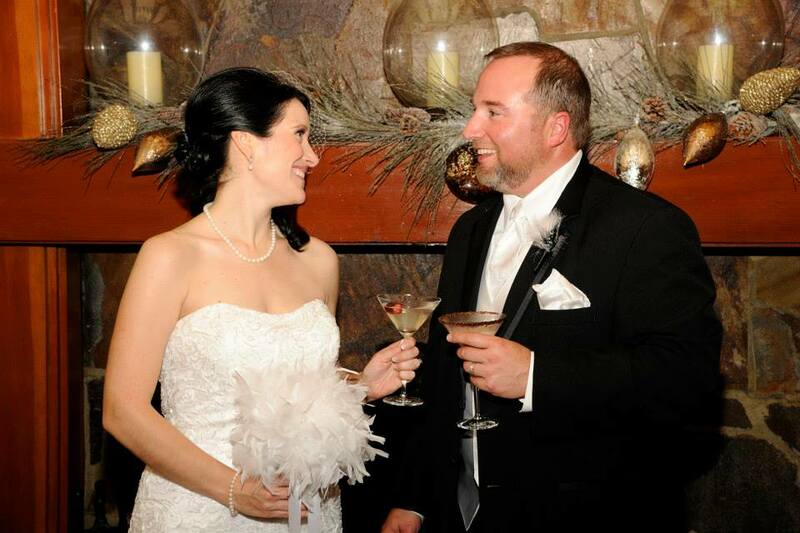 Your officiant is the person who is going to say the words you and your guests will remember on your special day. 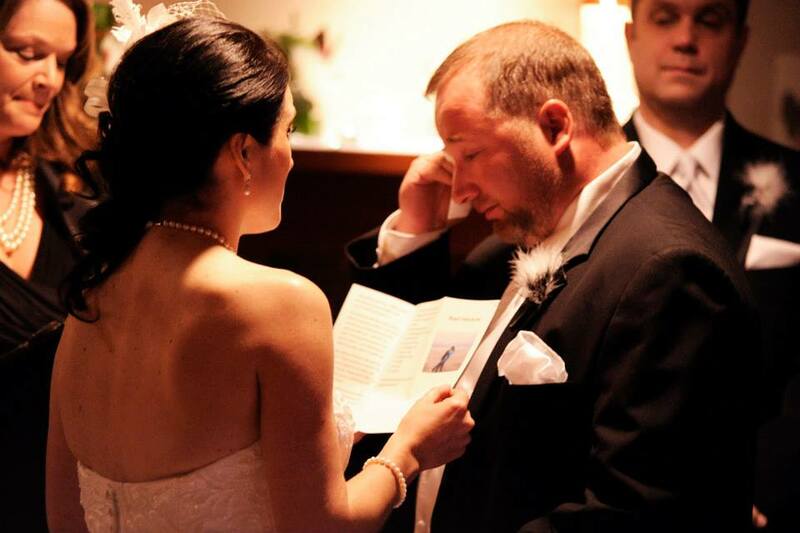 Your officiant is the person who will keep you calm and your guests engaged during your ceremony. Your officiant is the person who will take care of the paperwork and make sure your marriage is legal by getting everything recorded at the county auditor’s office. 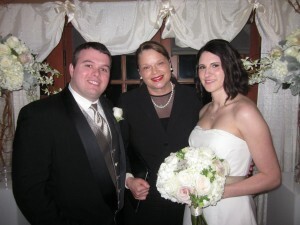 You may not realize it, but without your officiant you aren’t getting married! I want to stress to couples that one of the risks you take if you wait until the last minute to hire an officiant for your summer wedding is that many of us — including me — already have “blacked out weekends.” The later in the summer and the more likely the weather is going to be nice (here in the Northwest anyway) the more likely the dates are going to booked early on. 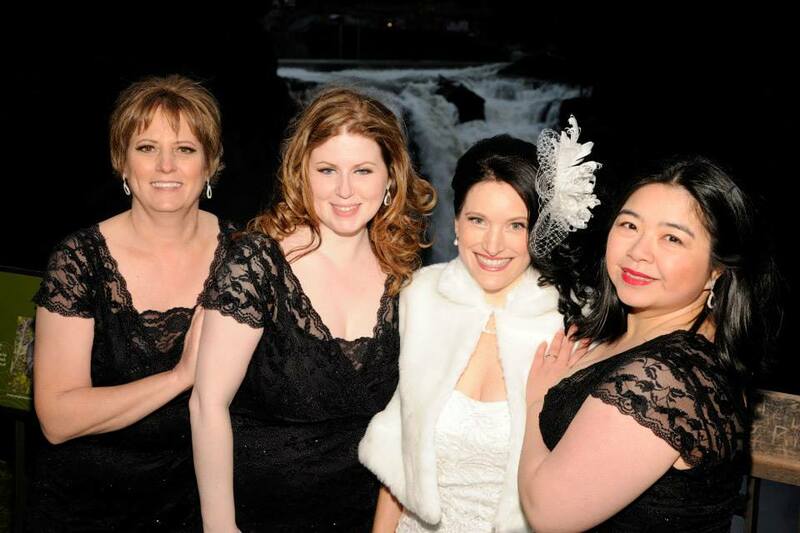 MissElaine http://seattleweddingofficiants.com/wp-content/uploads/2016/04/logo2.png MissElaine2012-03-20 17:34:162012-03-20 17:34:16Book Your Officiant Early!